Faber-Castell's Ambition collection is eye catching with it's crisp clean lines. There is a great deal of choice of finish with the Ambition, which is available in coconut wood, pear wood, brushed stainless steel, a selection of colours of brushed resin and a polished resin barrel with an engraved 'rhombus' design. All contrast well with the chrome plated cap and trim, producing an elegant, attractive design. Each piece in the collection has a sprung articulated clip, which fits easily and securely in a jacket pocket. 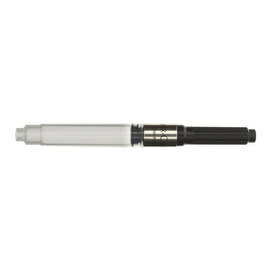 The Ambition collection is available as a fountain pen, roller ball, propelling ball pen and mechanical pencil. All Ambition pens and pencils accept standard refill types. 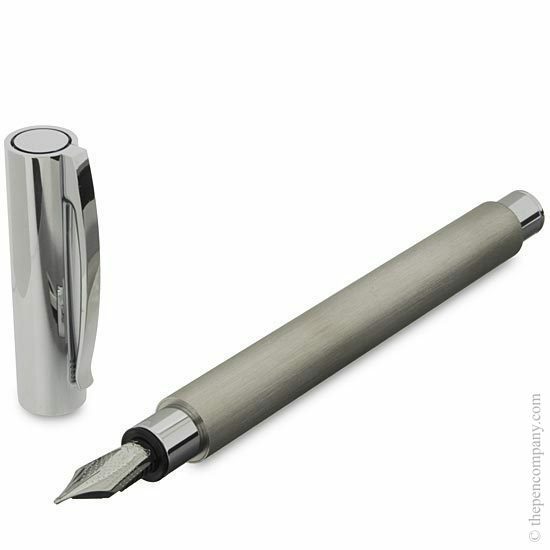 The Ambition fountain pen comes with a choice of fine, medium or broad nib. It accepts international standard size cartridges and can also be fitted with a converter, allowing it to be filled from an ink bottle. 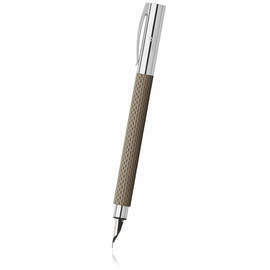 The Faber Castell Ambition Pearwood is a beautifully crafted pen. 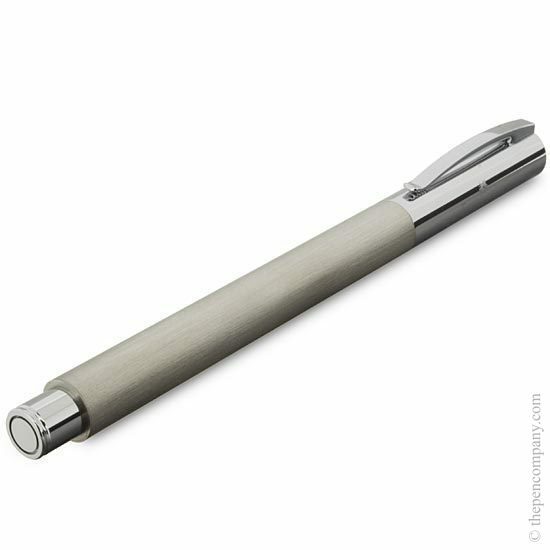 Design-wise, it is subtly but impressively modern, with a clean and straight profile that sets it apart from the multitude of very similar-looking fountain pens on the market. 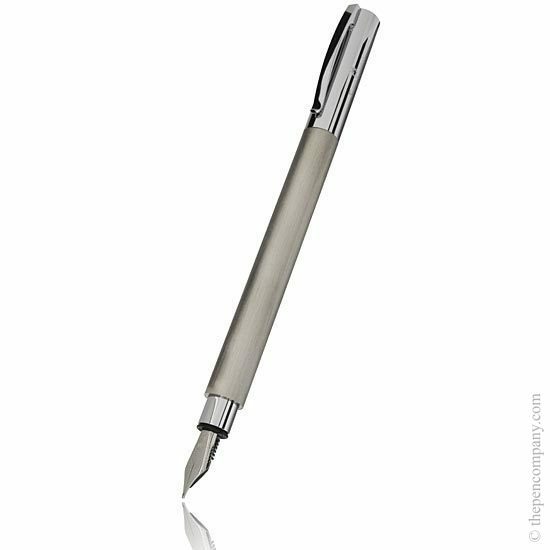 I've never owned a pen with a body made of wood like this: it is pleasing to hold, never gets too warm or sweaty, is easy to grip, looks lovely, and contrasts nicely with the polished chrome of the cap and tail. My only complaint in terms of design is the weight of the cap, which is substantial in relation to the pen and means - when capped - that it's a bit awkward to write with. This doesn't really bother me as I tend to write uncapped anyway. The nib is simply excellent. 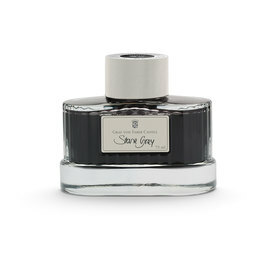 Smooth, constant ink flow, neat line that isn't too fine. 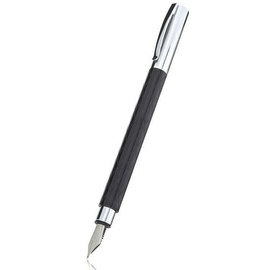 I am very pleased with this pen, and would recommend it to anyone who wants a stylish, simple but elegant writer. 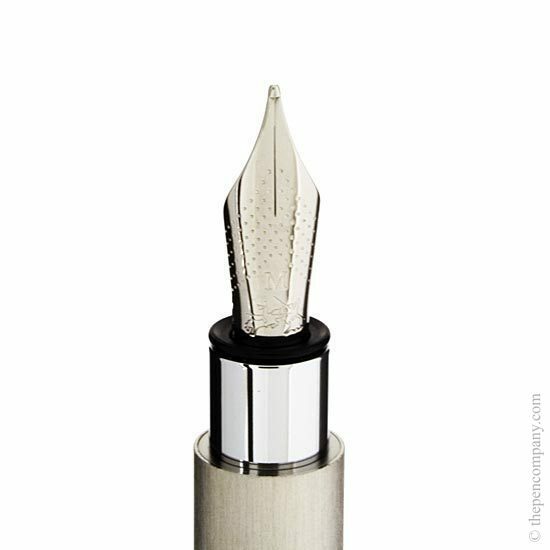 I purchased the Faber Castell Ambition fountain pen in pearwood with a fine nib for my love; I am happy to report she is very pleased with it. It writes easily and clearly, is balanced in weight whether posted or unposted, and provides good line variation with appropriate pressure. A beautiful keeper, just like her. Very nice pen! Good feeling in the hand. Nice wood inlay. I have fine nib and it feels not Scratchy at all, very smooth! I have some pens from Graf Von Faber- Castell and i have to say that you feel the difference of the quality but i have to say this is almost there! I bought the Faber Castell Ambition in pearwood with a medium nib. It is an exceptionally smooth writer. 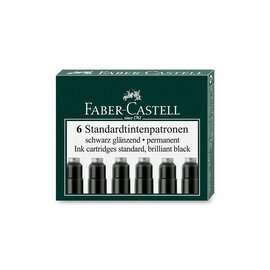 I would certainly highly recommend it to anyone looking for a good quality, comfortable to use fountain pen. Service from the Pen Company was very efficient and prompt - well done! 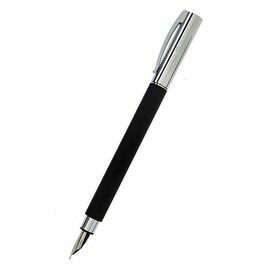 All Ambition pens are supplied with a converter with the exception of the brushed black resin finish - if you were to choose this finish you would need to purchase a converter separately.